Rewards Canada: March 10 Update: Accor Hotels 3 for 2 Sale, Up to 50,000 Bonus Avios with the RBC BA Visa and more! 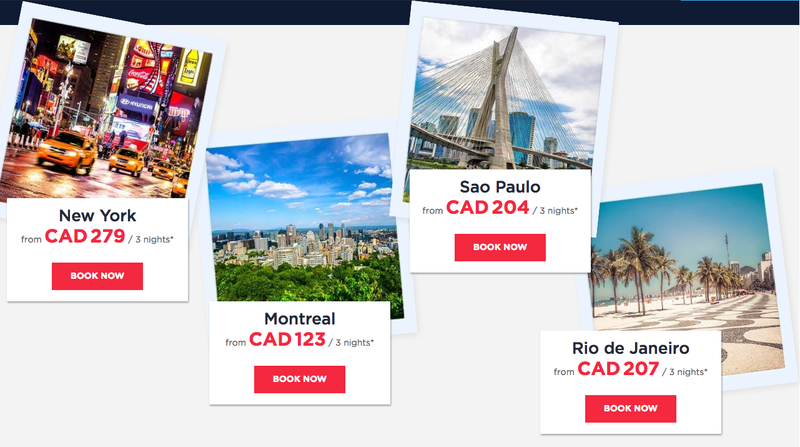 March 10 Update: Accor Hotels 3 for 2 Sale, Up to 50,000 Bonus Avios with the RBC BA Visa and more! 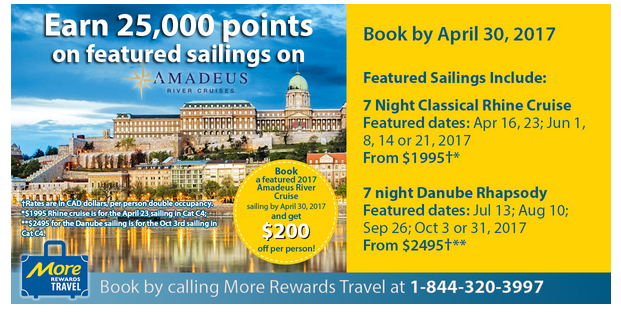 More Rewards is offering 25,000 Bonus More Rewards Points when you book an Amadeus River Cruise. Simply book by Apr 30. BTW those 25,000 points are worth about $105, maybe you could use them towards your flights to catch the cruise. You have to call More Rewards Travel at 1-844-320-3997 to book and earn the points. Accor Hotels has brought back their 3 nights for the price 2 sale! You can enjoy your 3rd night free at over 4,100 hotels Worldwide including 7 in Canada. Book by Mar 28 for stays until May 28, 17 Find out more here.